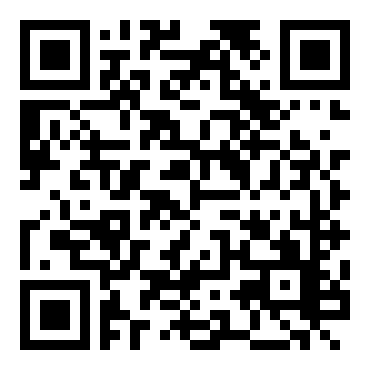 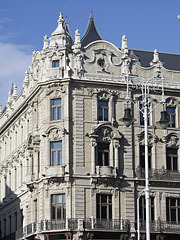 Among others there is the Leó Pension (accommodation) within its walls. 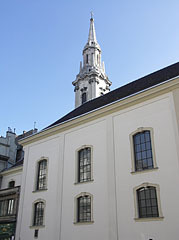 The current building was named after its predecessor which was built in 1817. 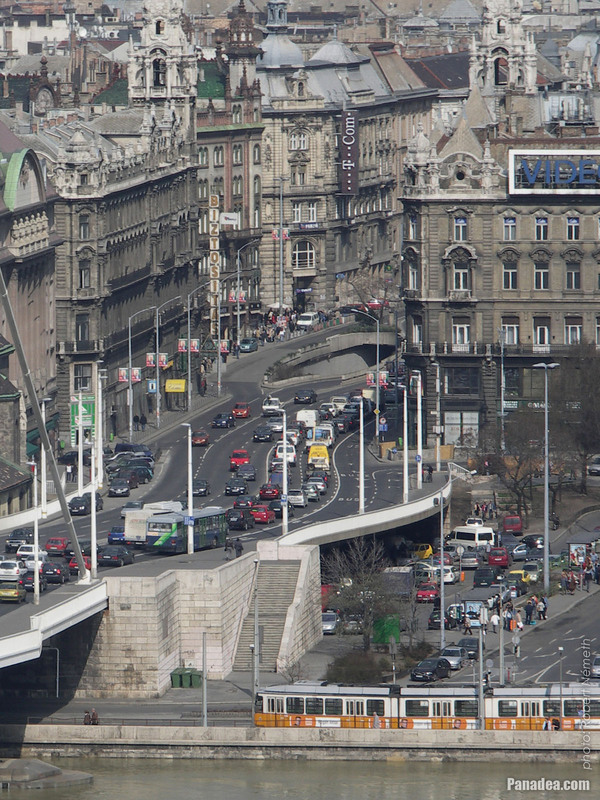 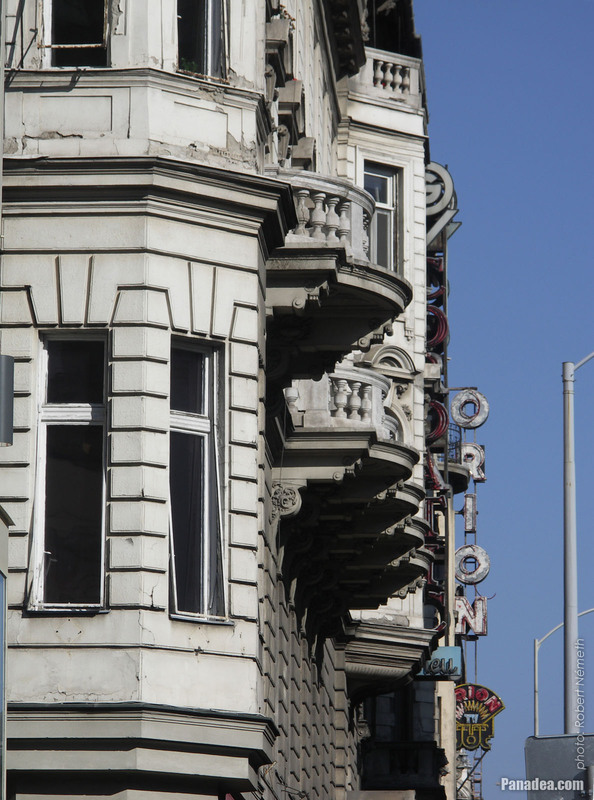 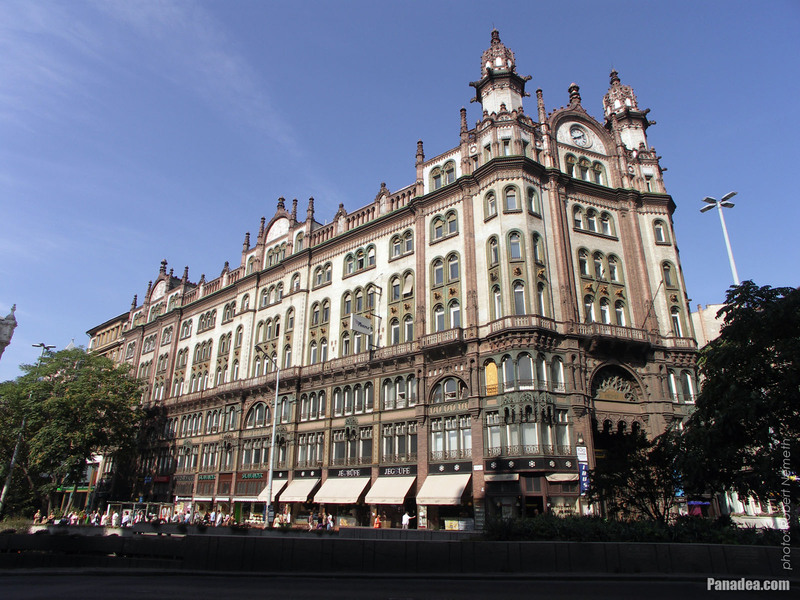 That was one of the first shopping centers in Hungary, designed by Mihály Pollach for Baron József Brudern. 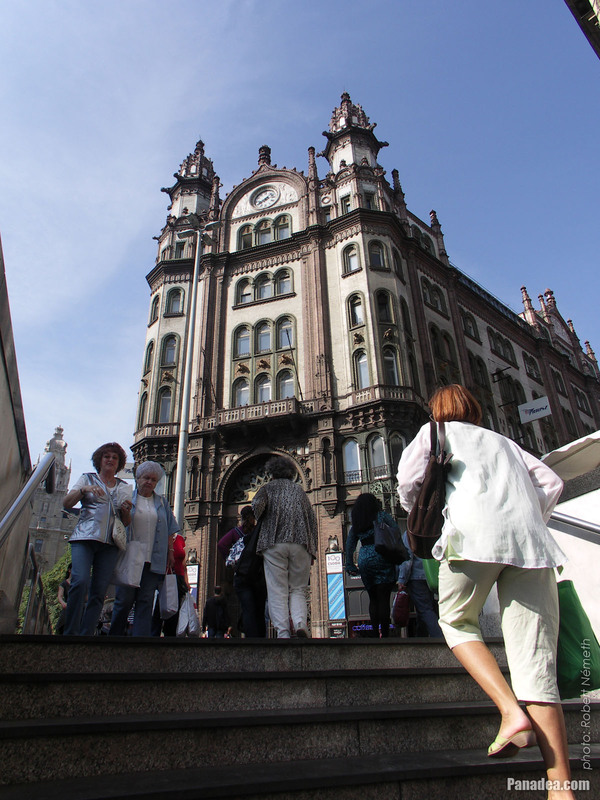 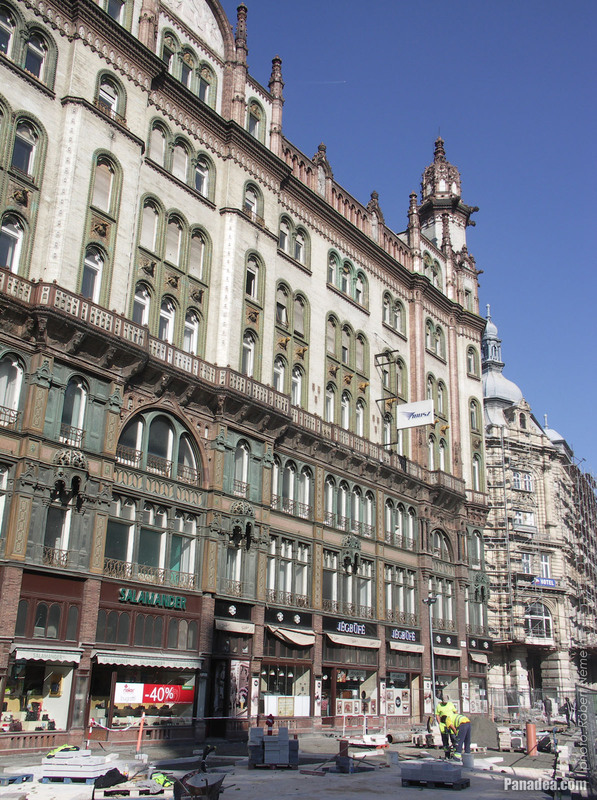 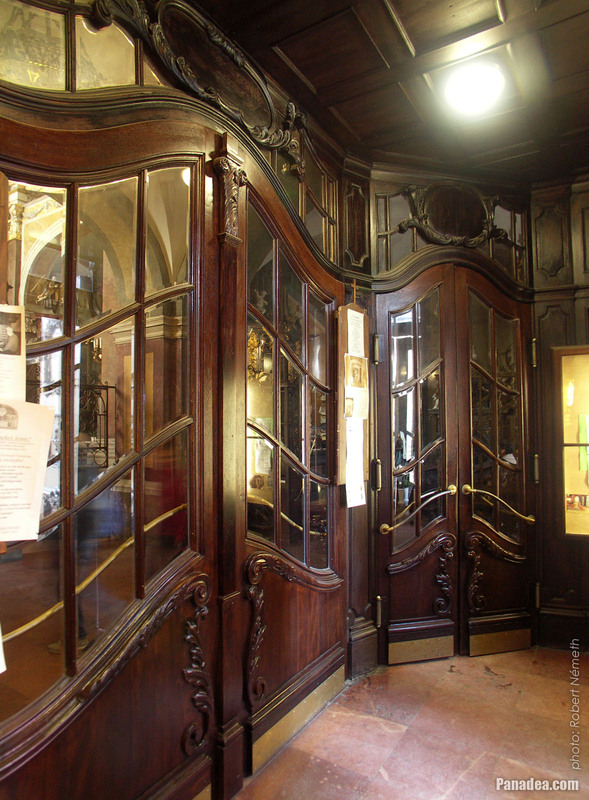 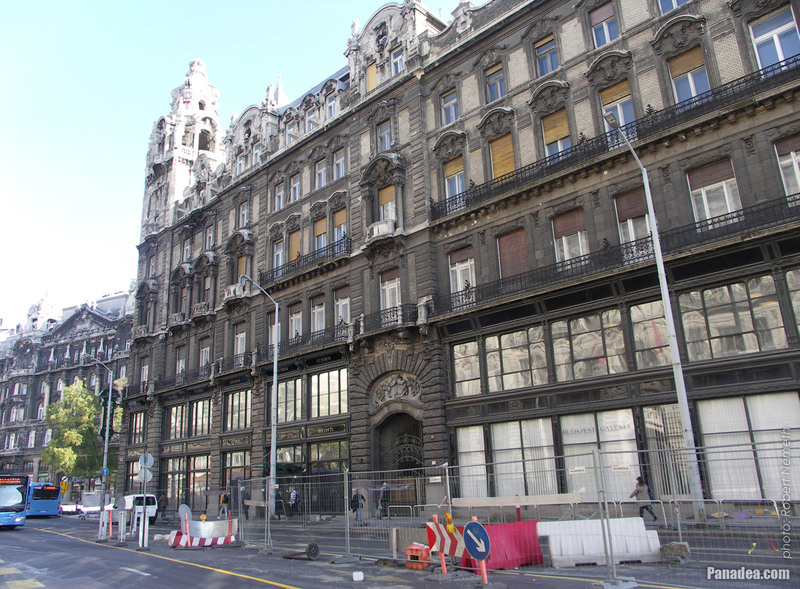 The Paris Courtyard ("Párizsi udvar") is the only early-20th-century shopping arcade in Budapest that still exists. 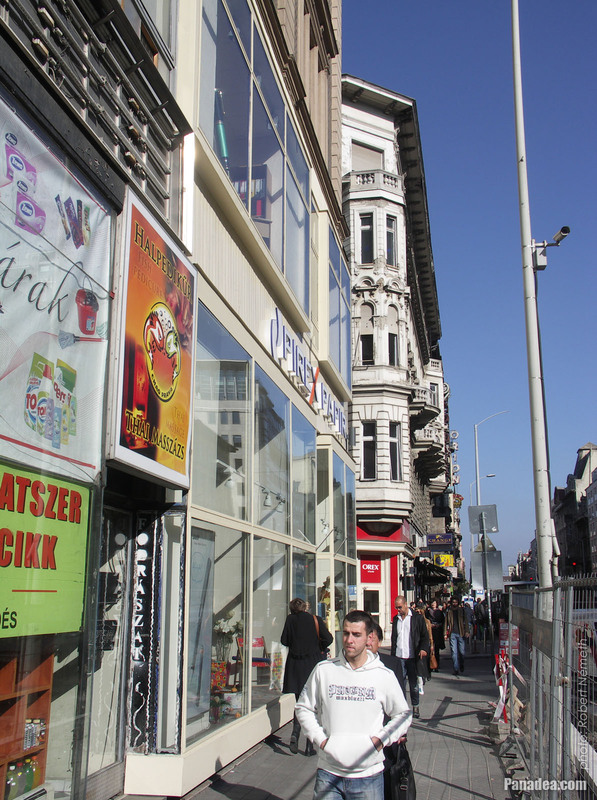 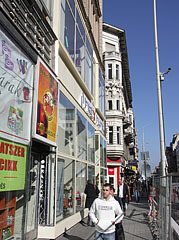 The covered bazaar or row of shops is situated on the ground floor of the Brudern House. 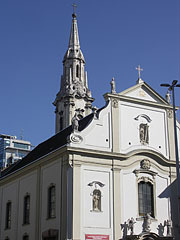 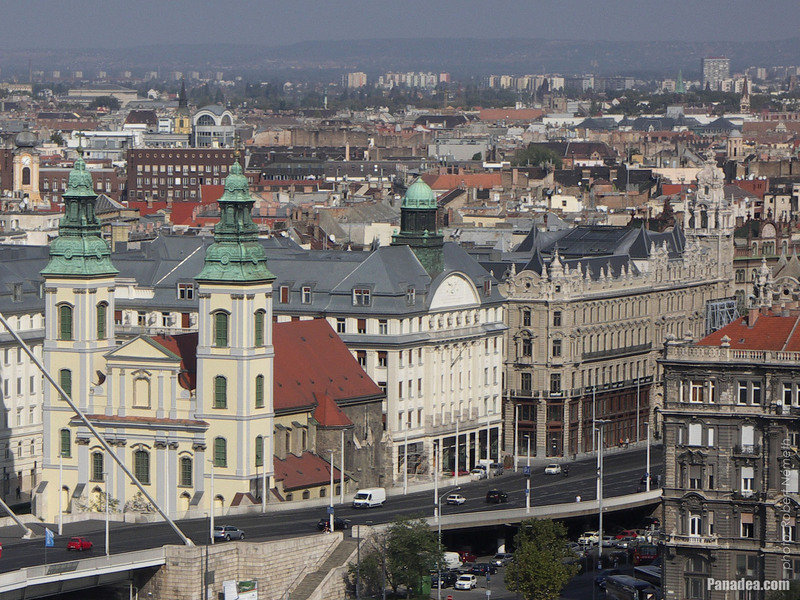 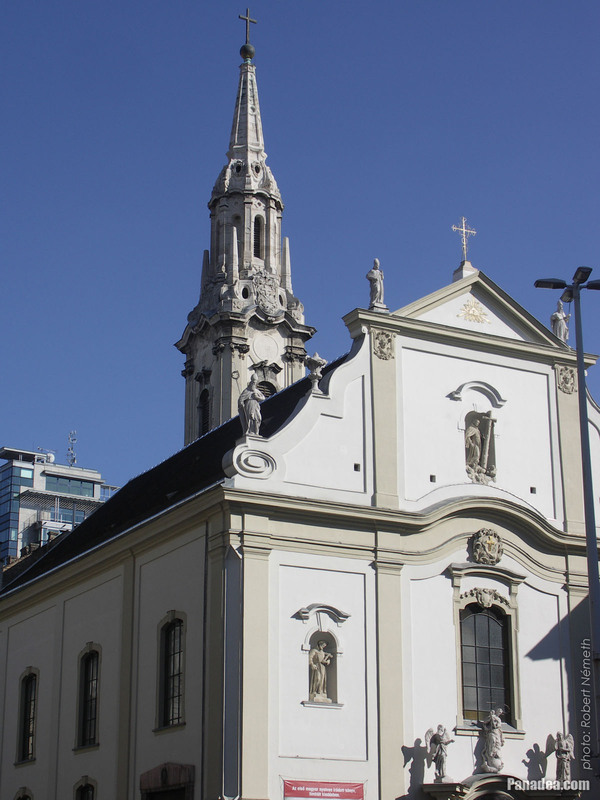 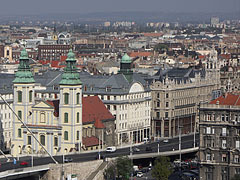 In the middle of the picture the twin-towered Downtown Parish Church can be seen. 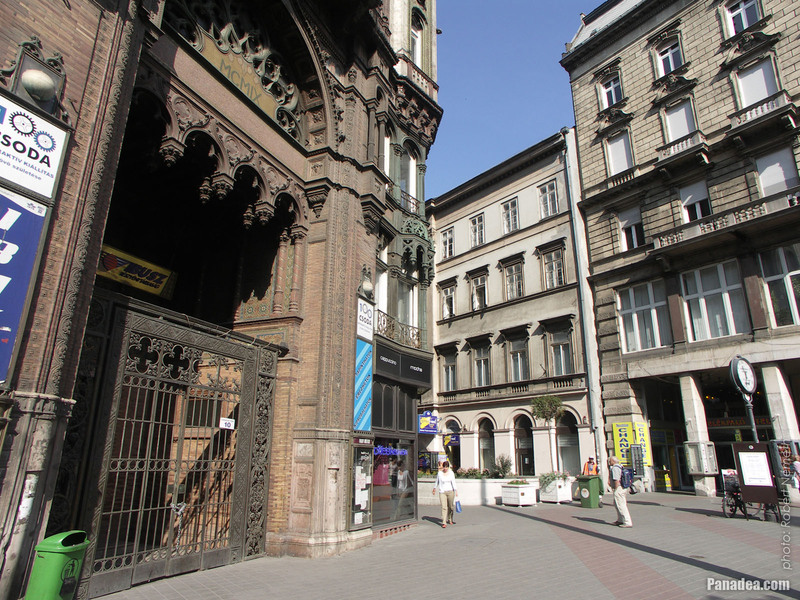 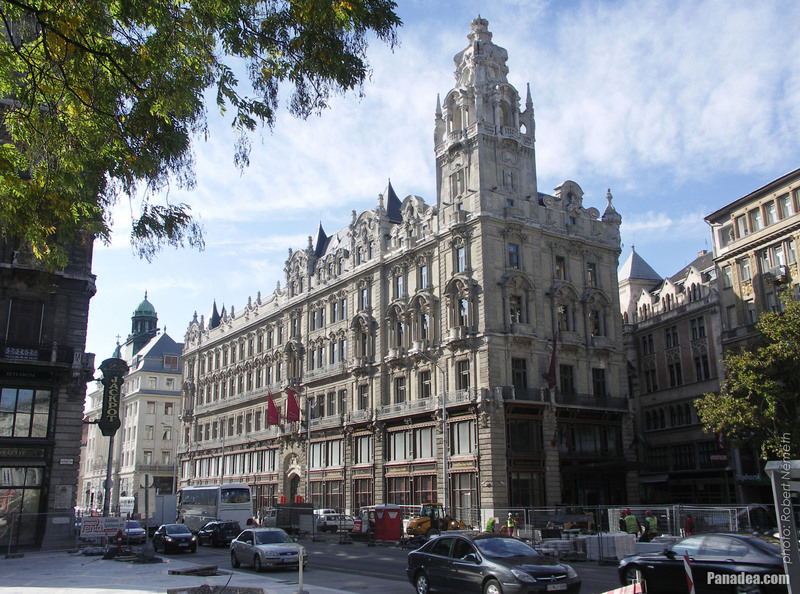 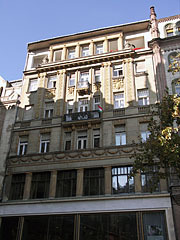 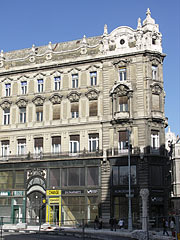 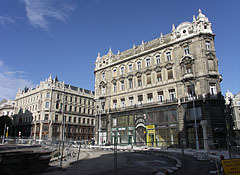 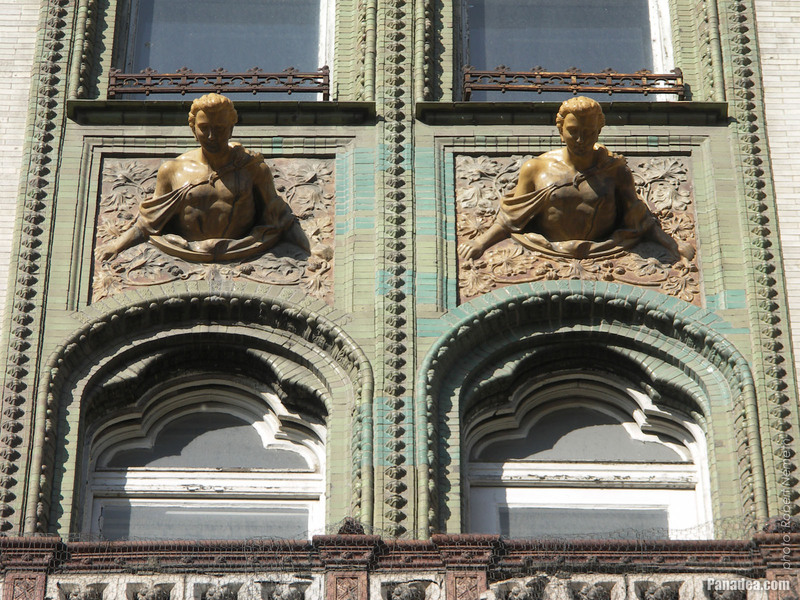 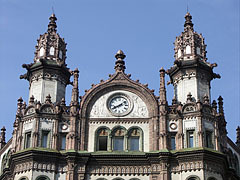 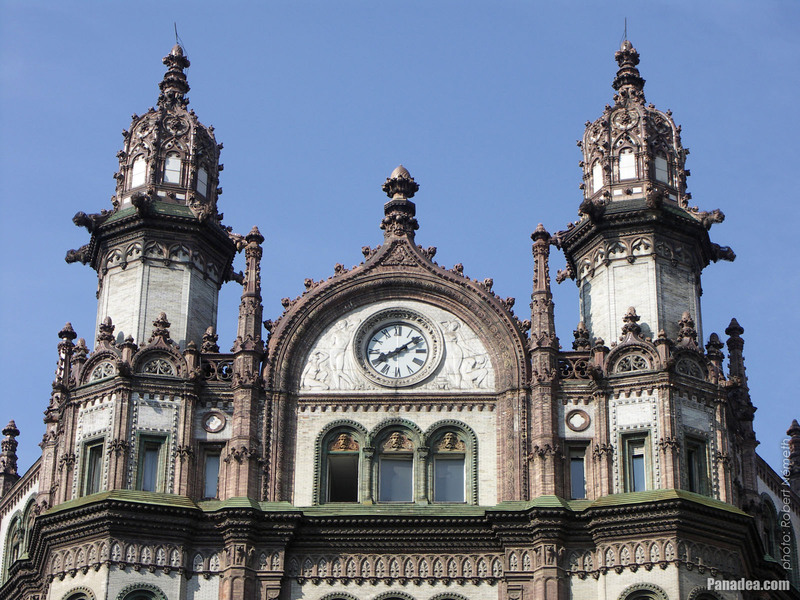 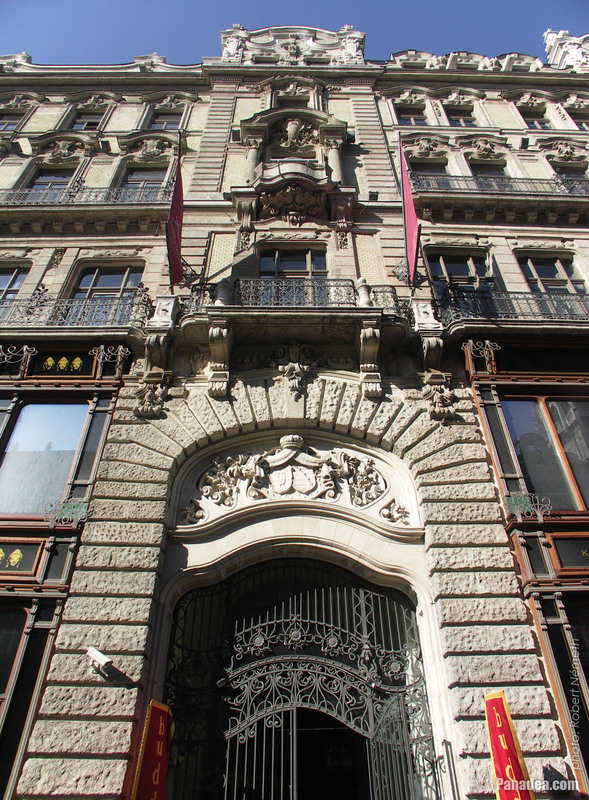 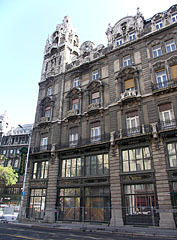 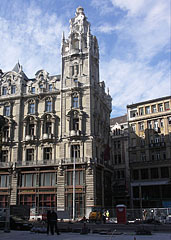 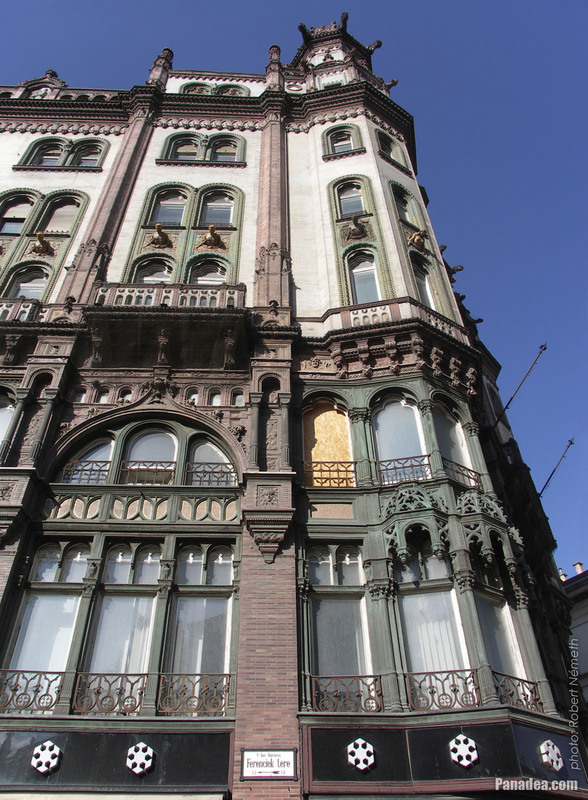 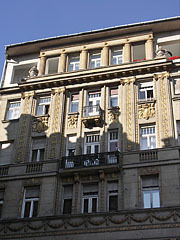 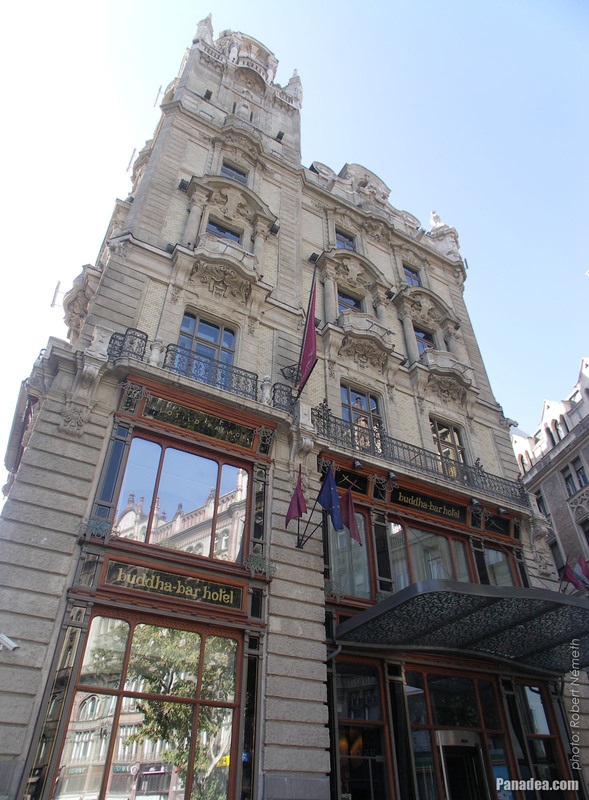 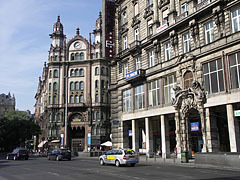 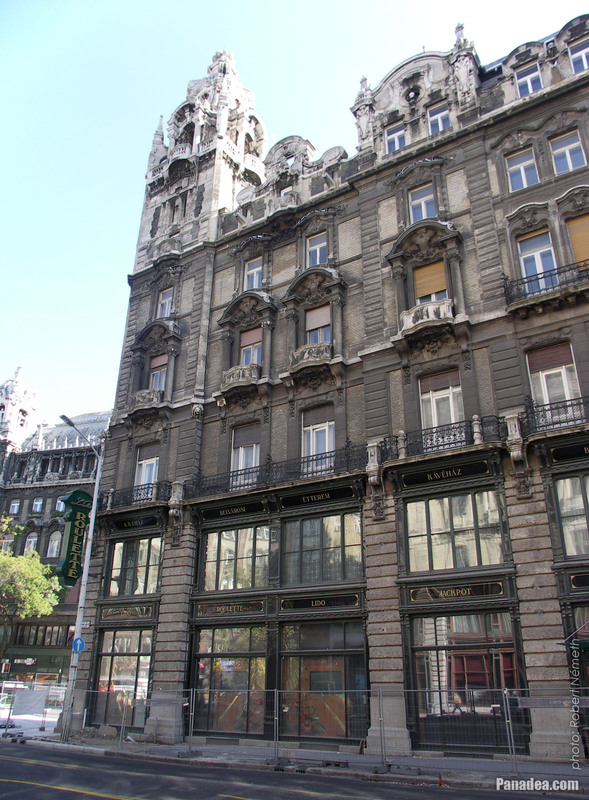 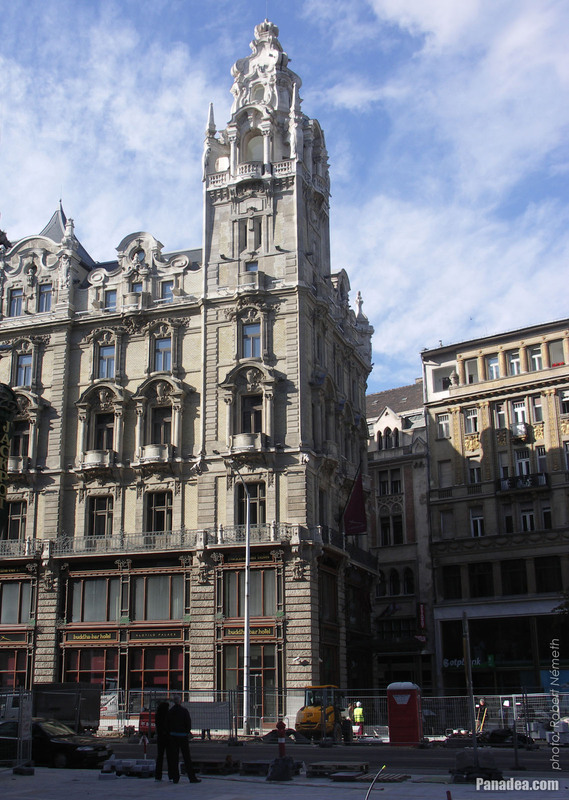 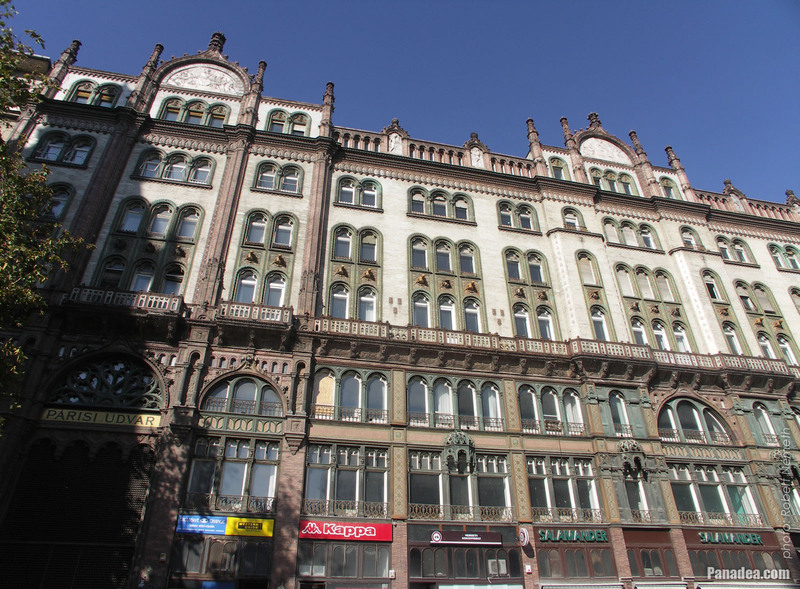 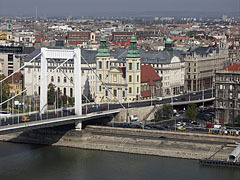 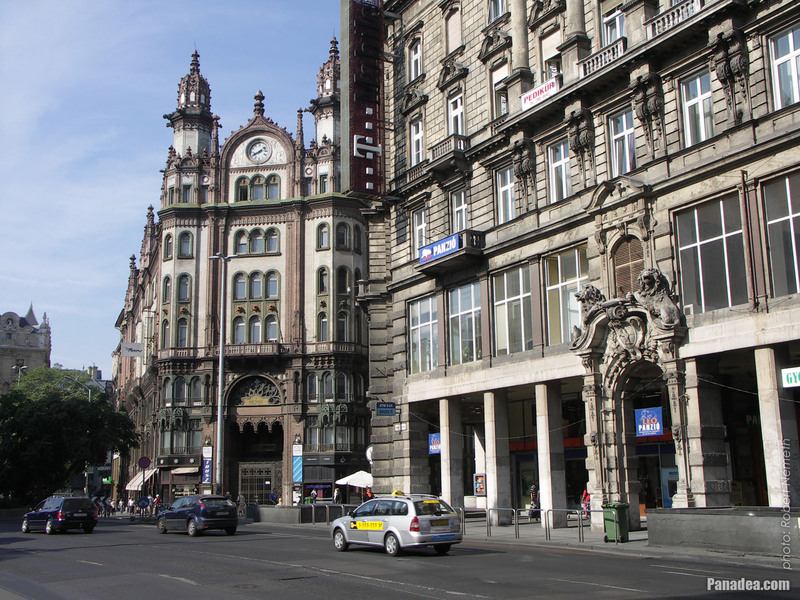 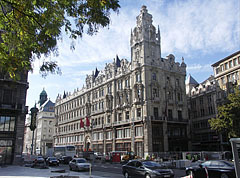 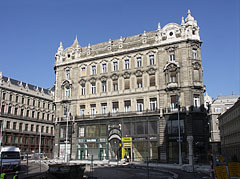 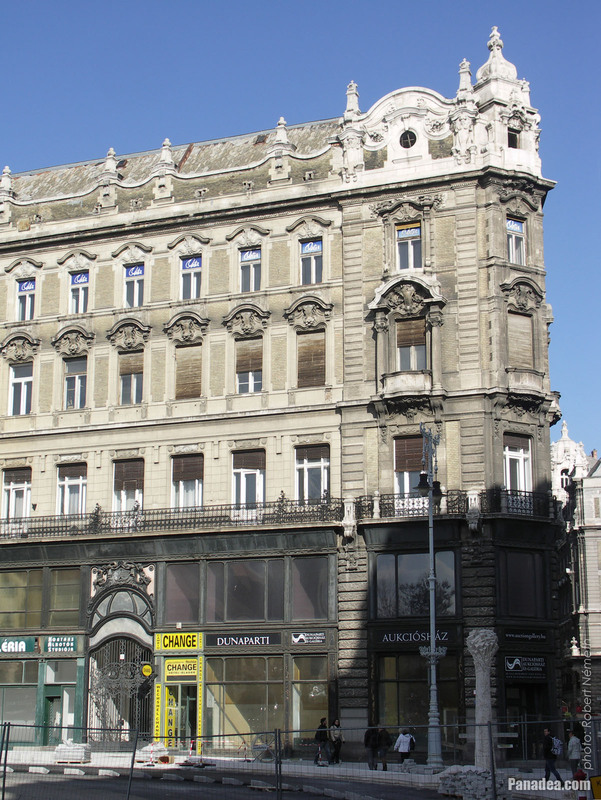 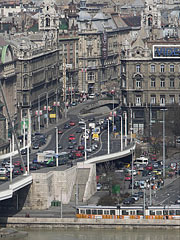 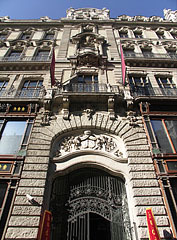 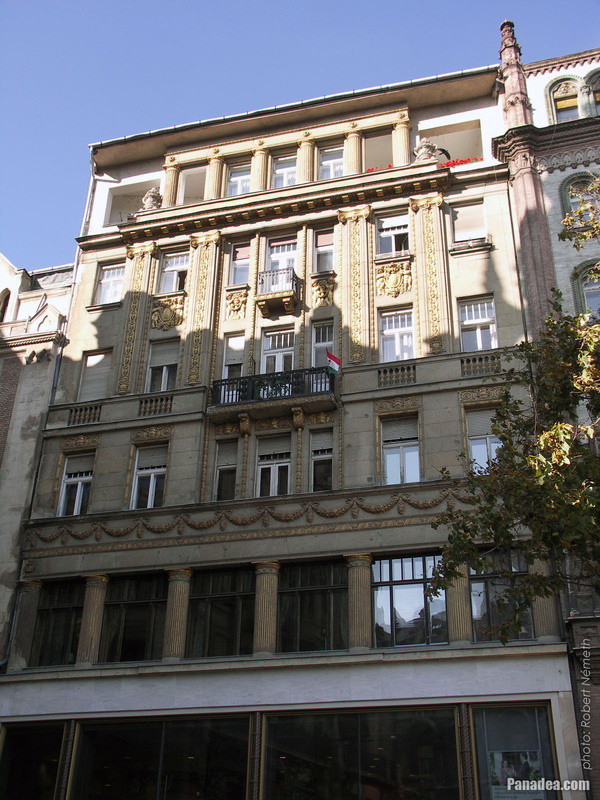 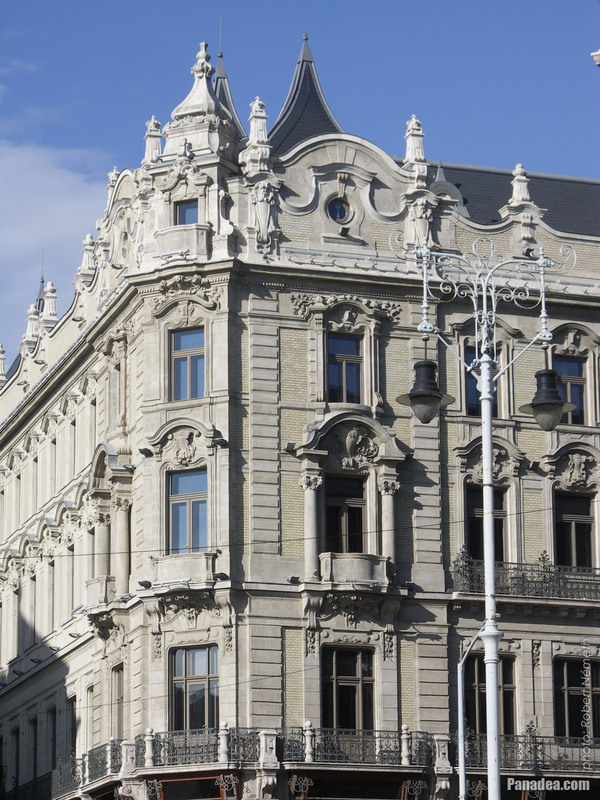 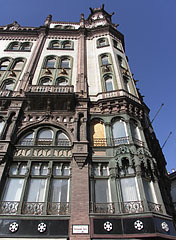 Both two Klotild Palaces were built in 1902, architects: Flóris Korb and Kálmán Giergl. 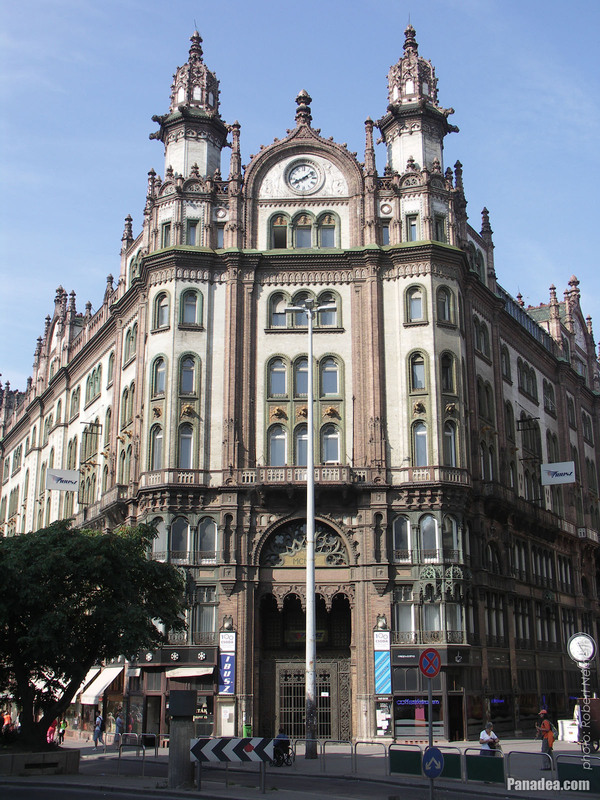 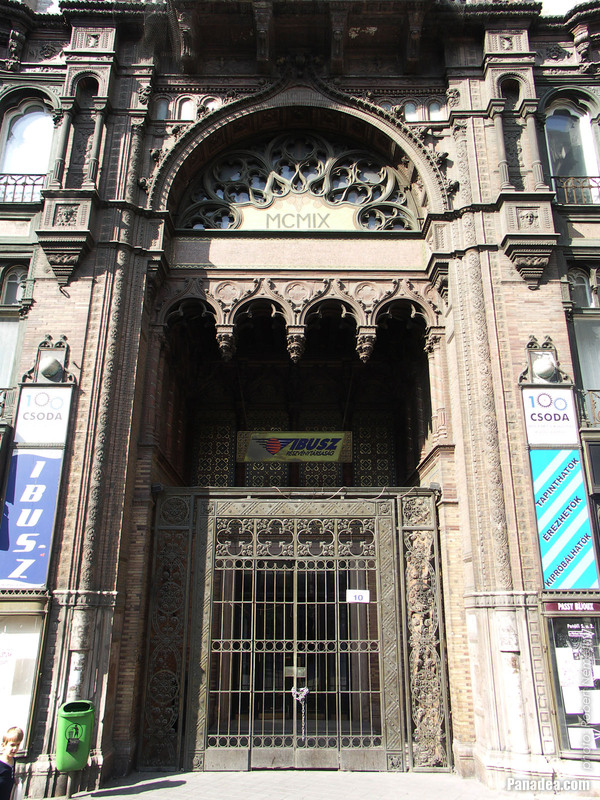 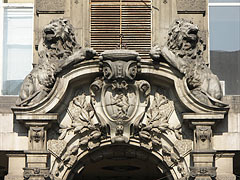 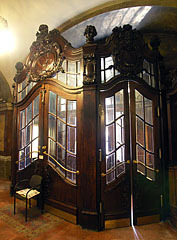 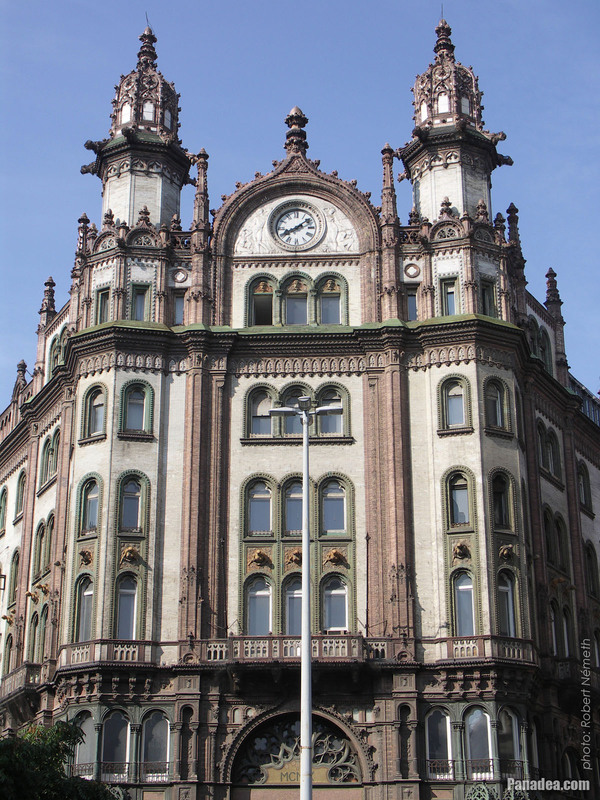 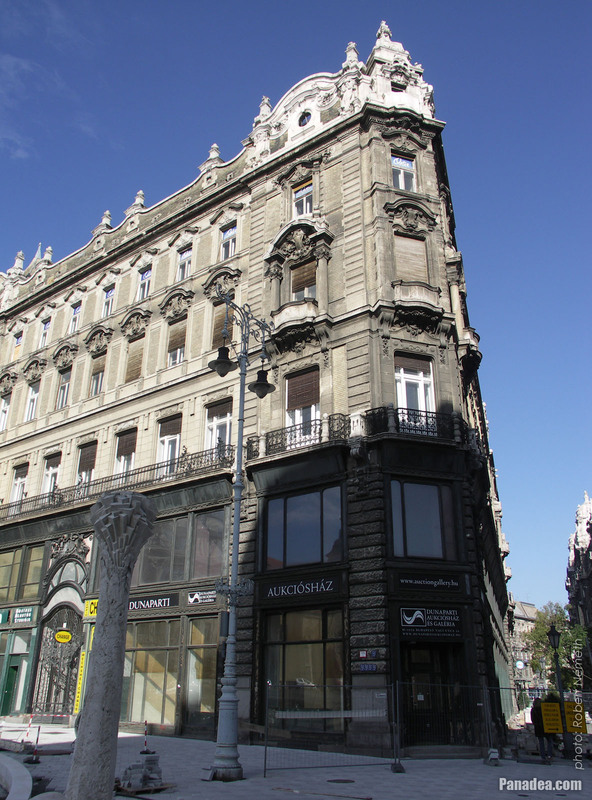 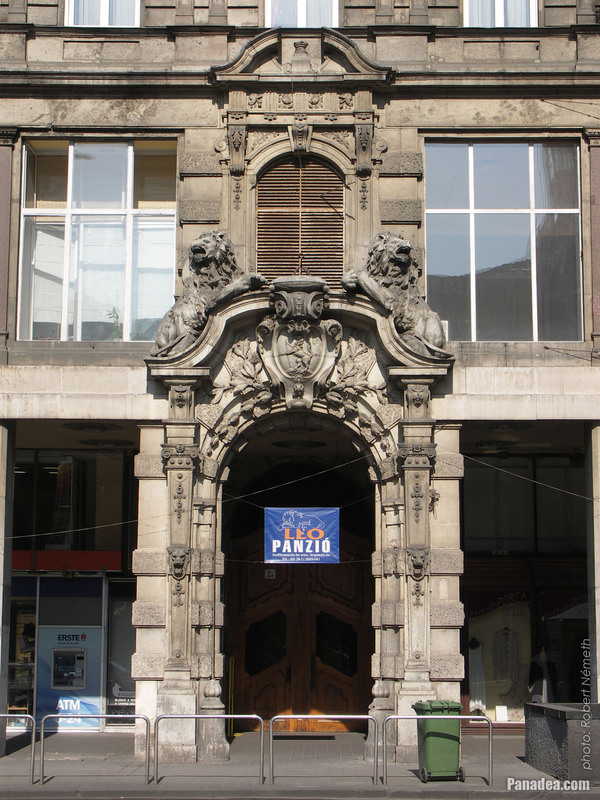 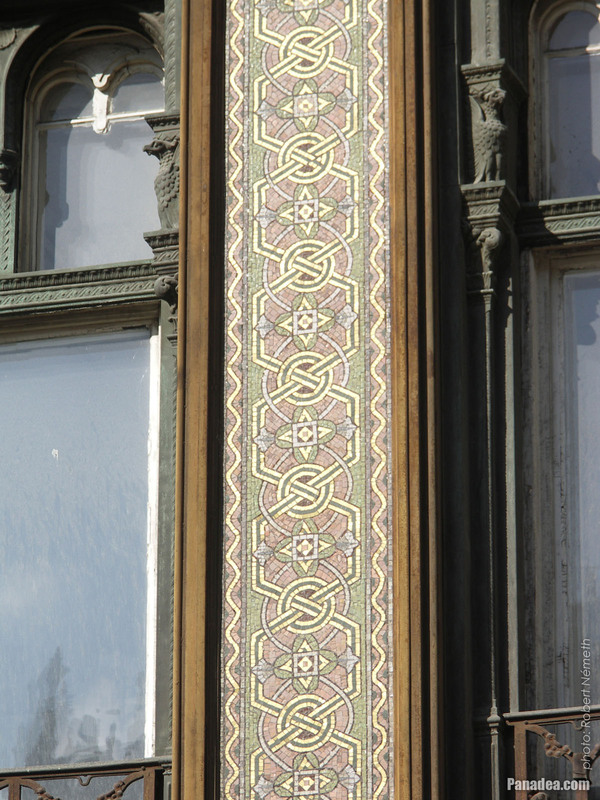 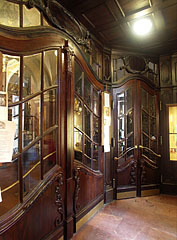 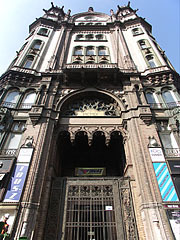 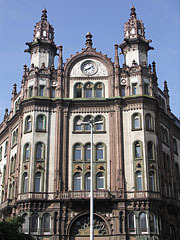 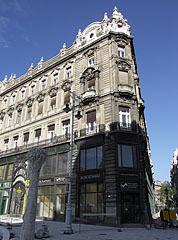 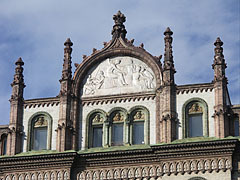 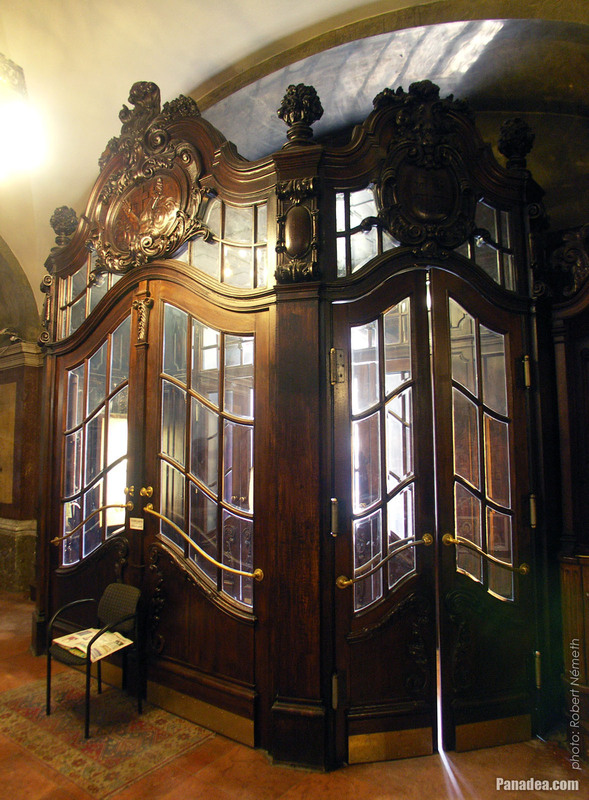 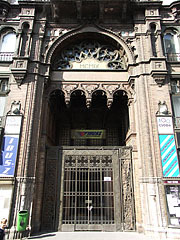 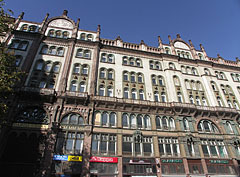 It was built between 1914-1915 for József Girárdi fur wholesale dealer, designed by Ignác Alpár (born as Ignác Schöckl in a German family). 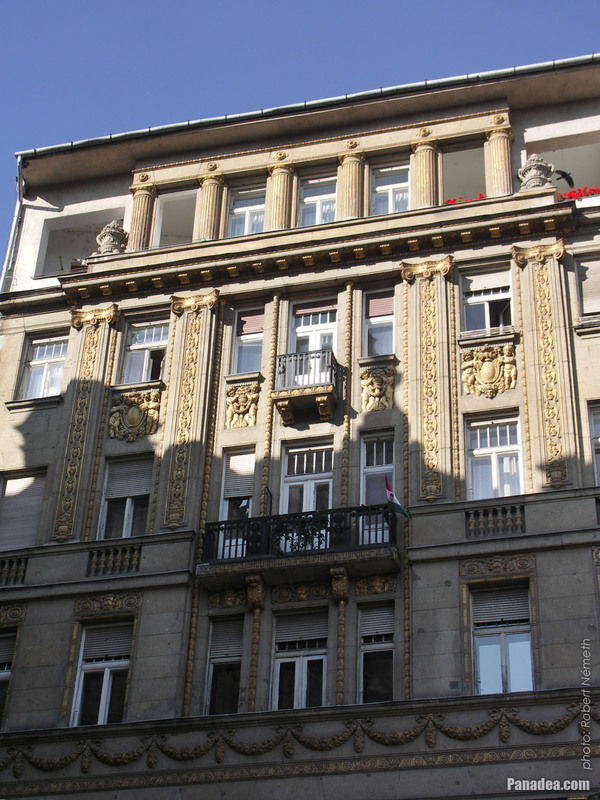 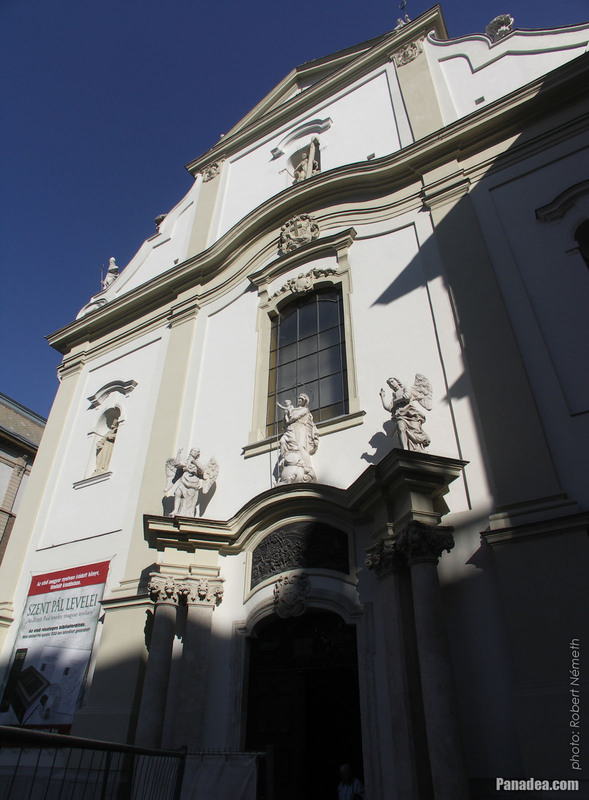 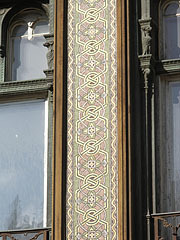 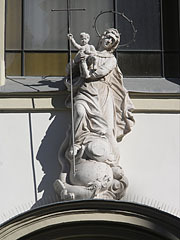 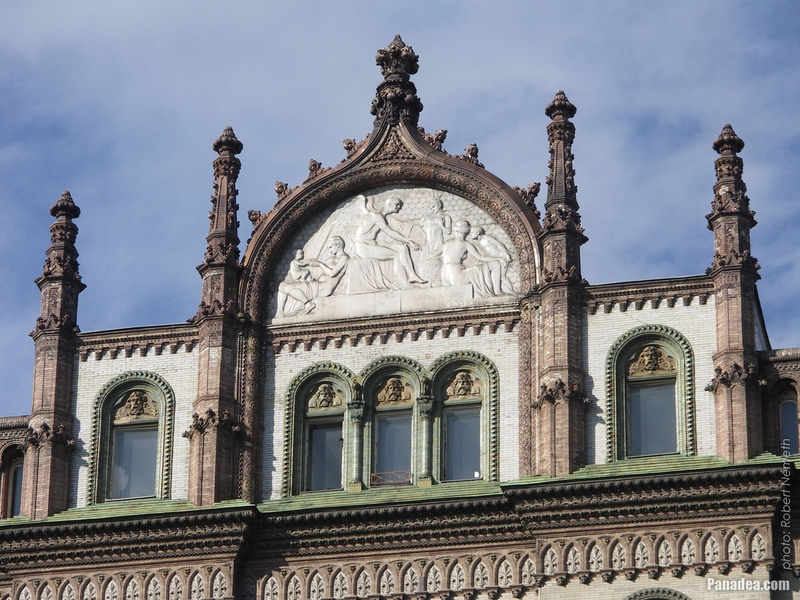 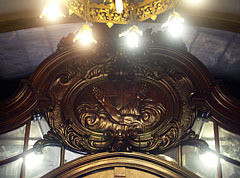 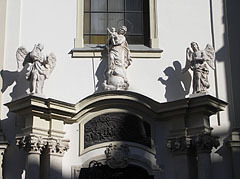 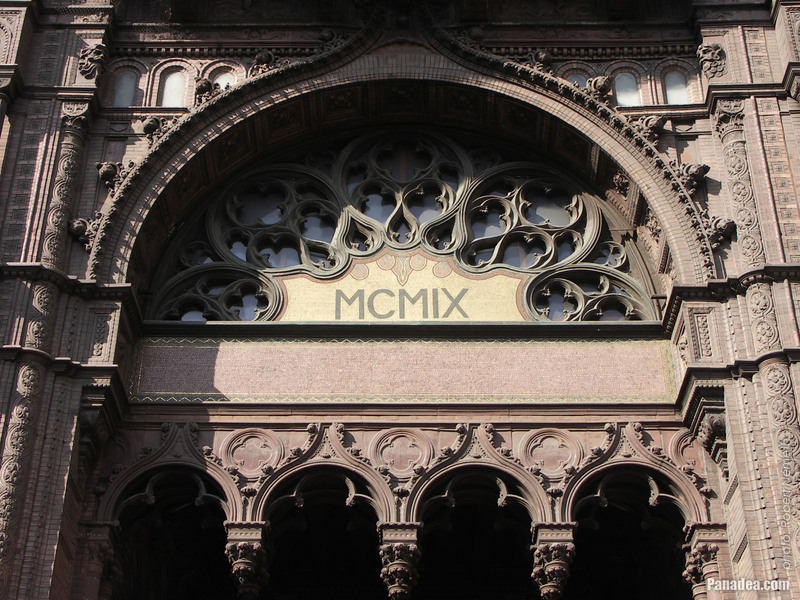 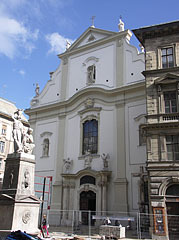 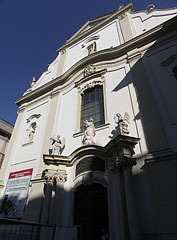 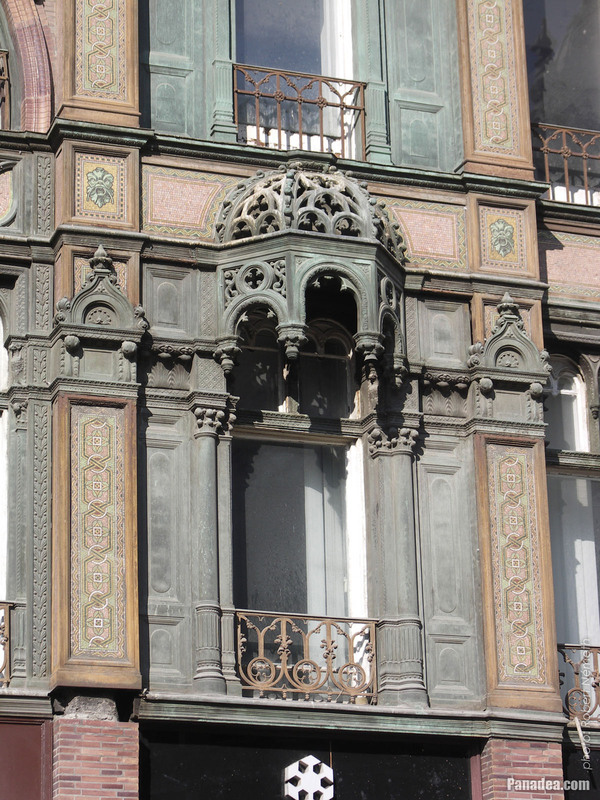 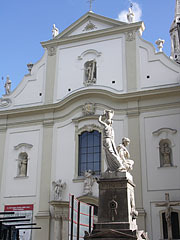 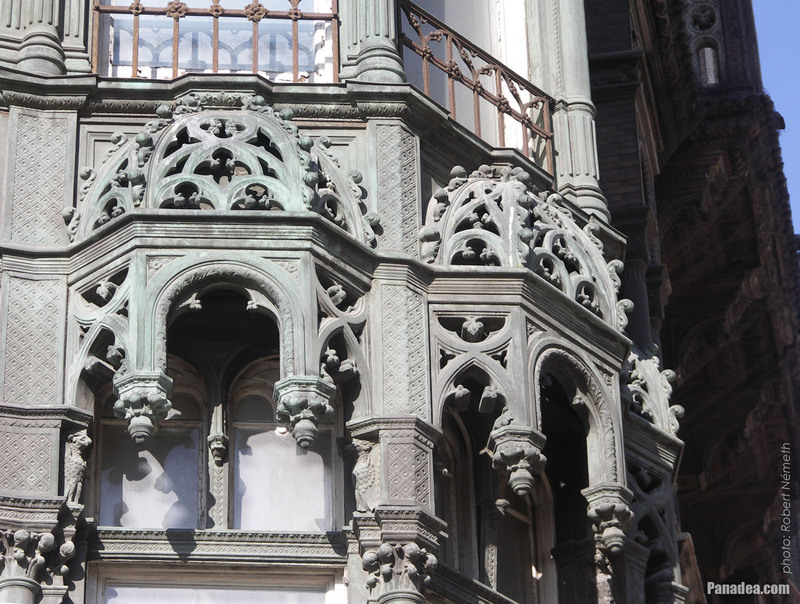 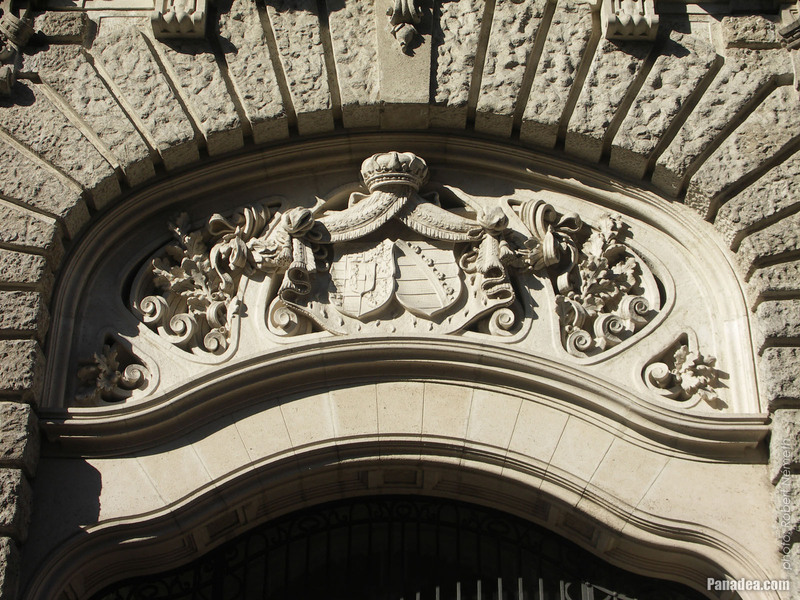 It was named after its 22-carat gold leaf decorated facade. 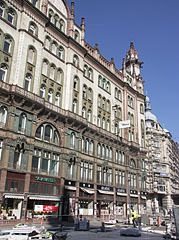 Beside other shops there is the well-known "Jégbüfé" ("Ice Bar") confectionery on its ground floor, which was opened in 1952. Created by Barnabás Holló in 1905. 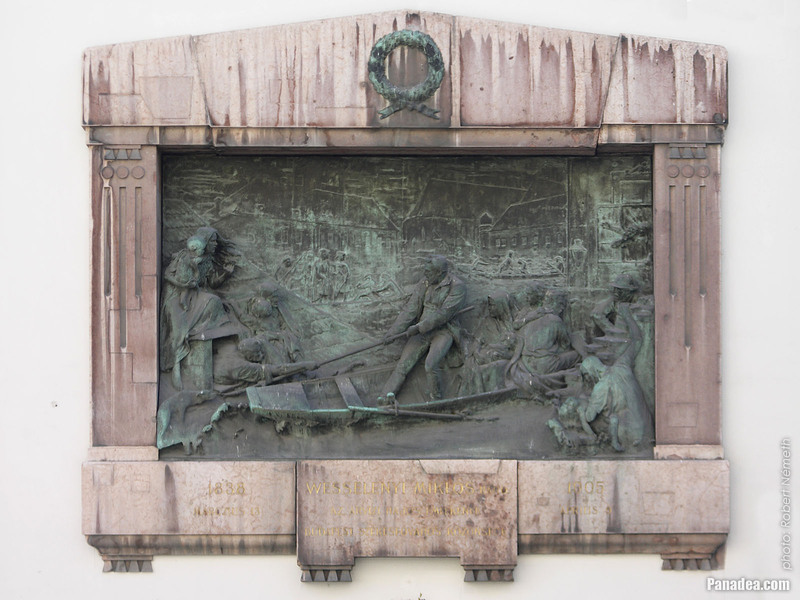 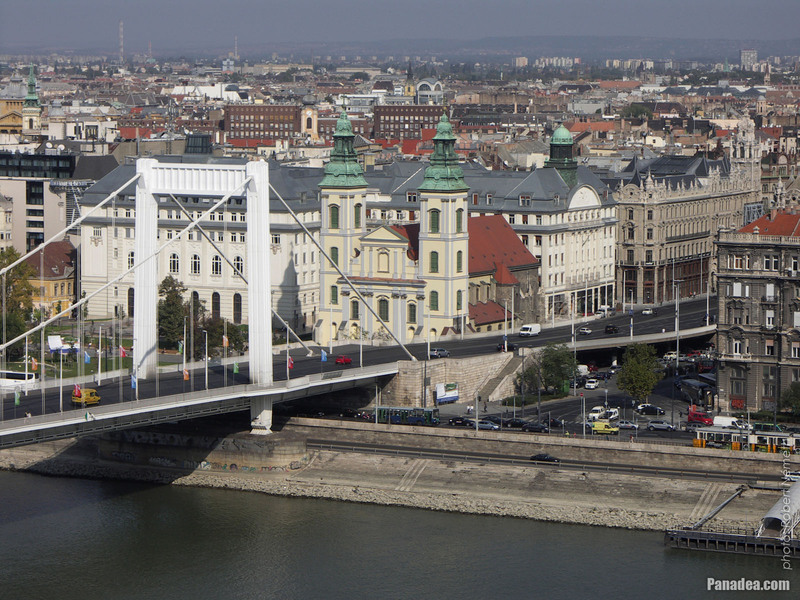 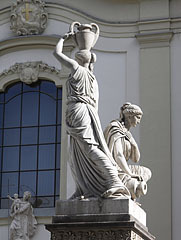 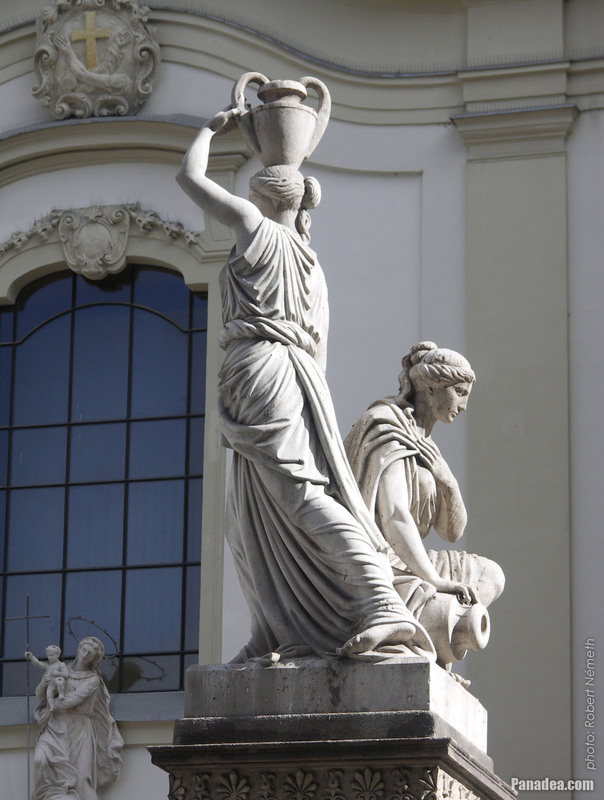 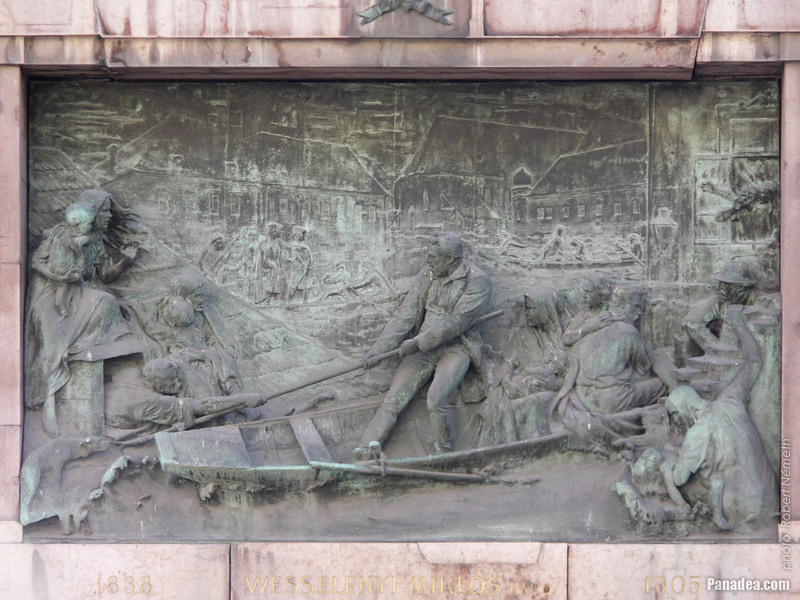 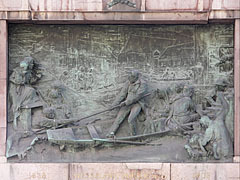 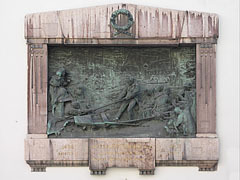 It commemorates the Great Flood of River Danube of 1838, as well as the heroism of Miklós Wesselényi at that time. 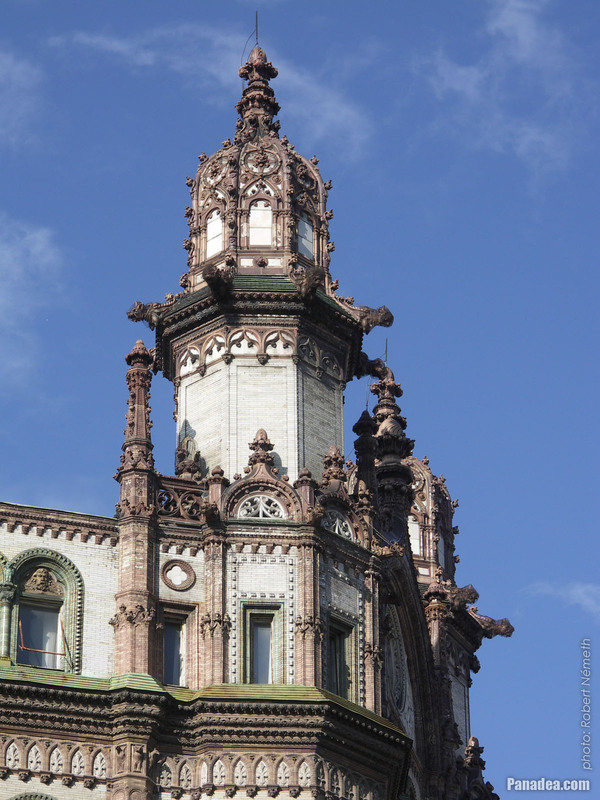 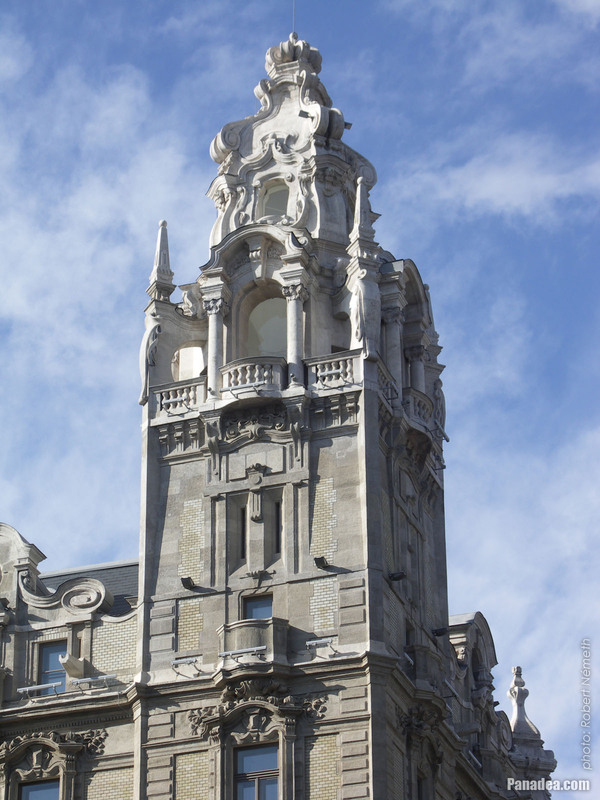 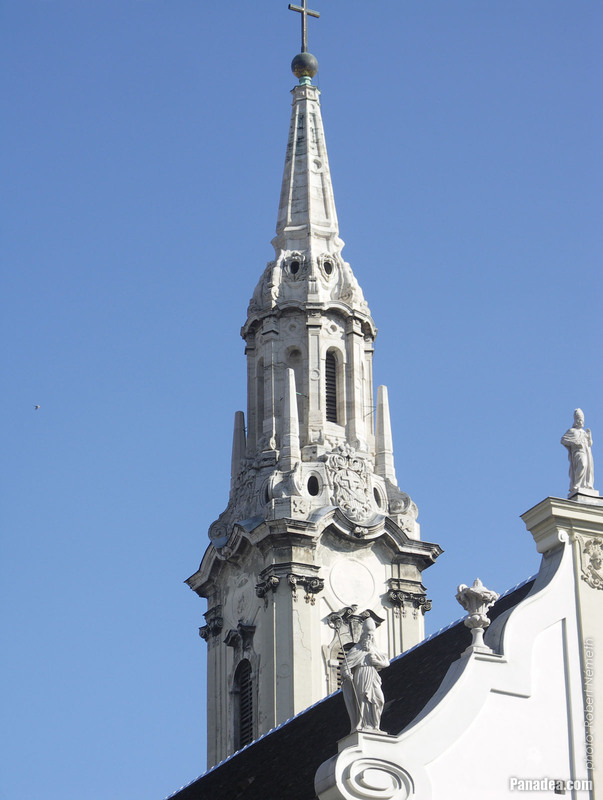 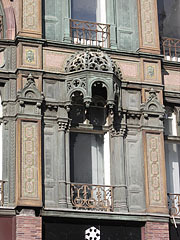 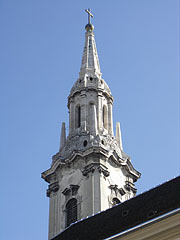 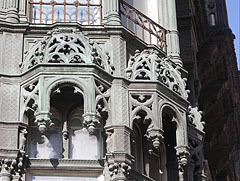 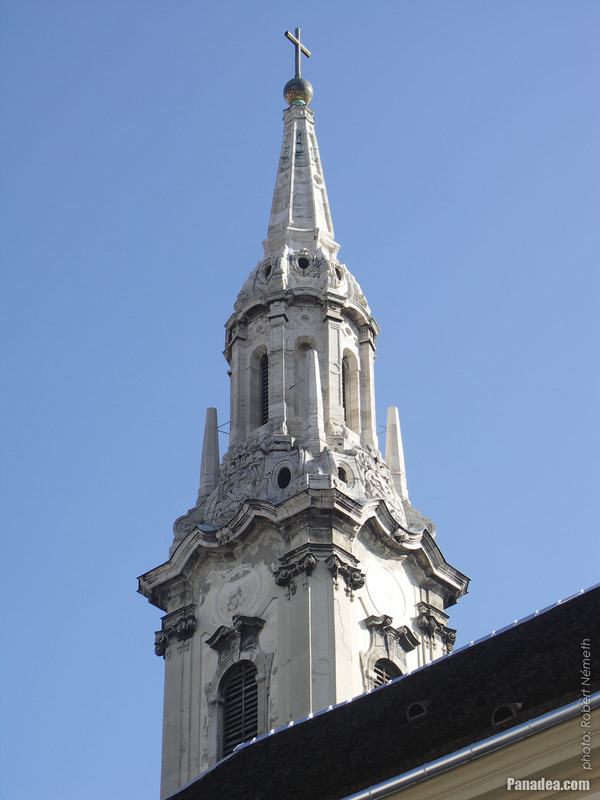 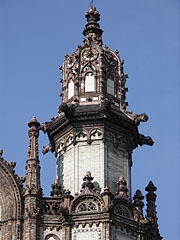 The top of turrets are 40 meters above the street level. 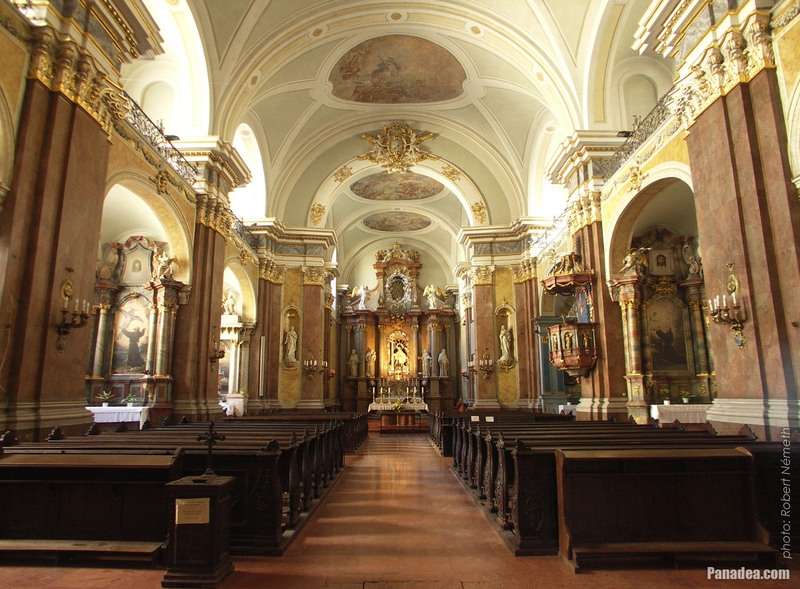 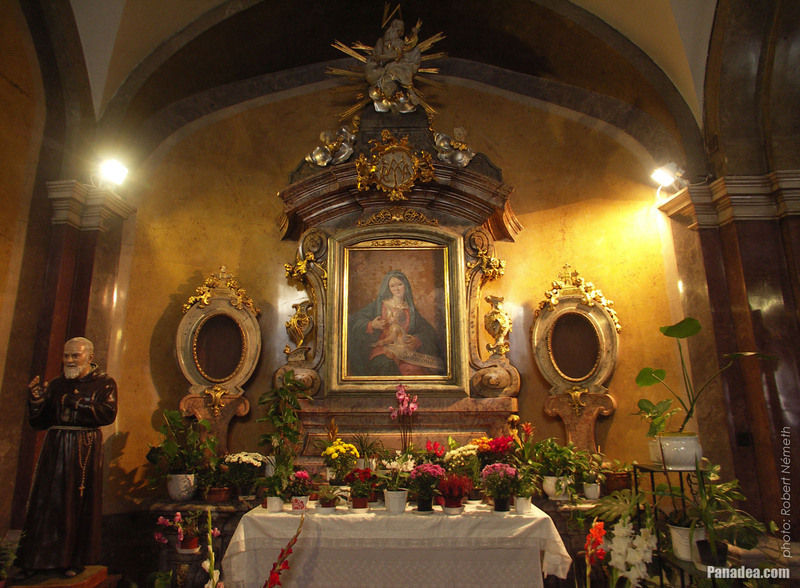 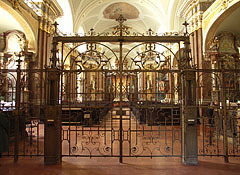 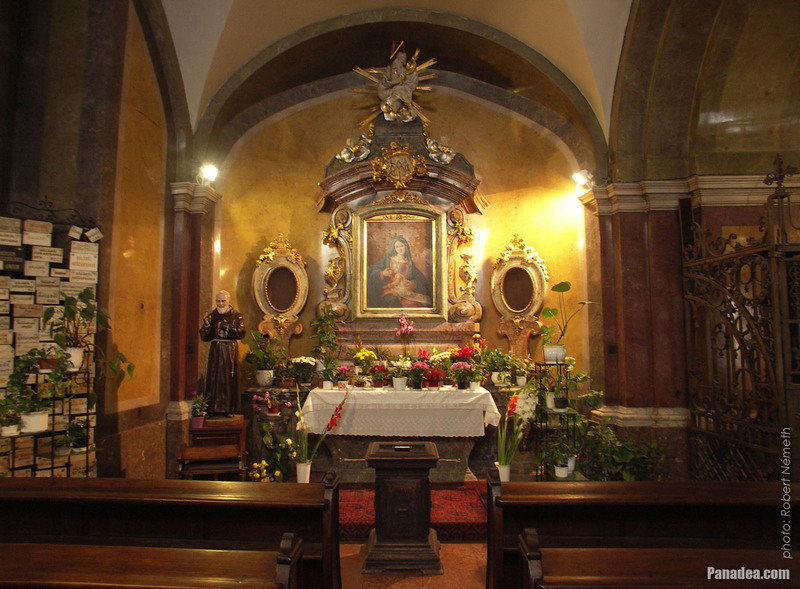 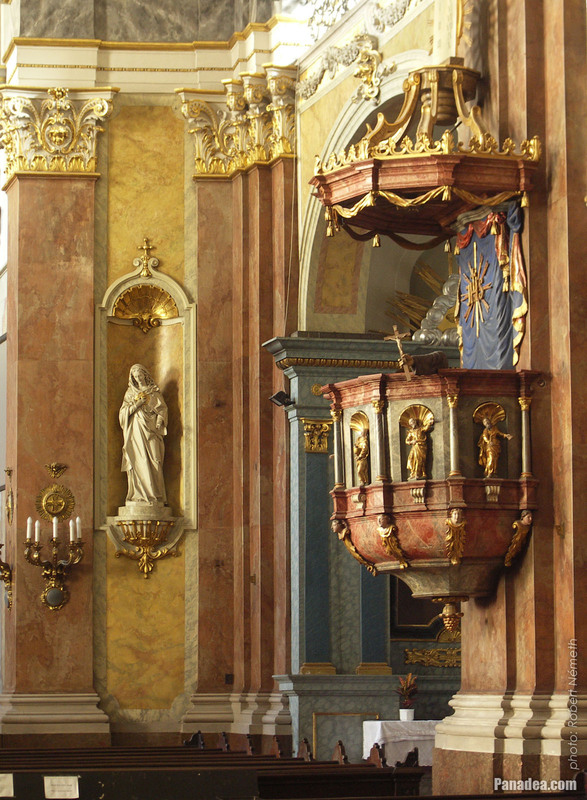 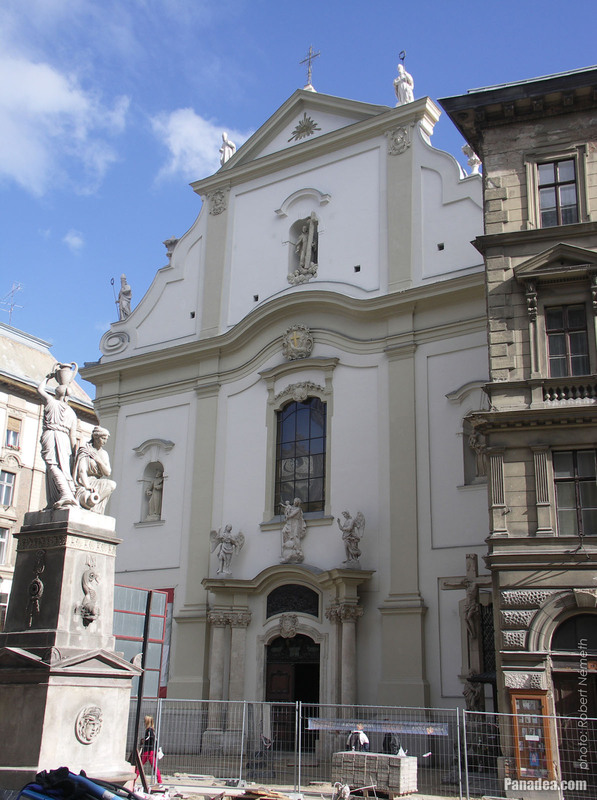 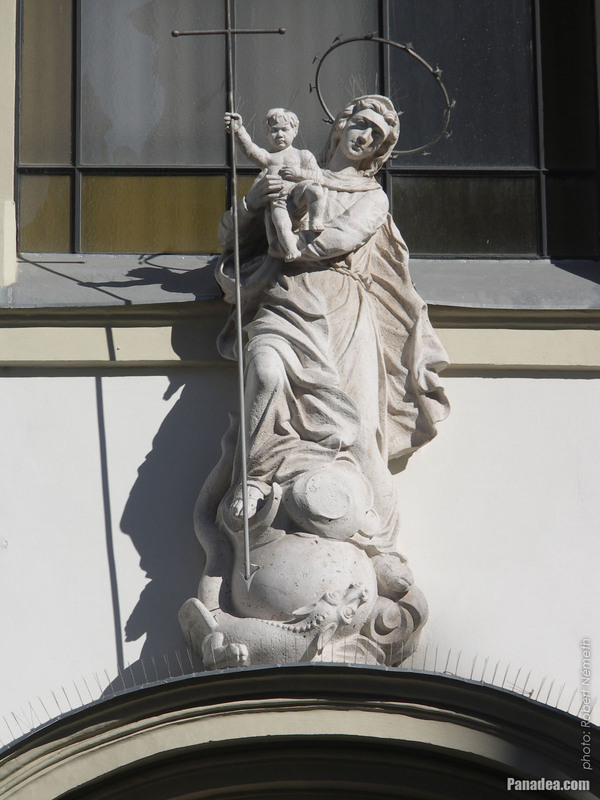 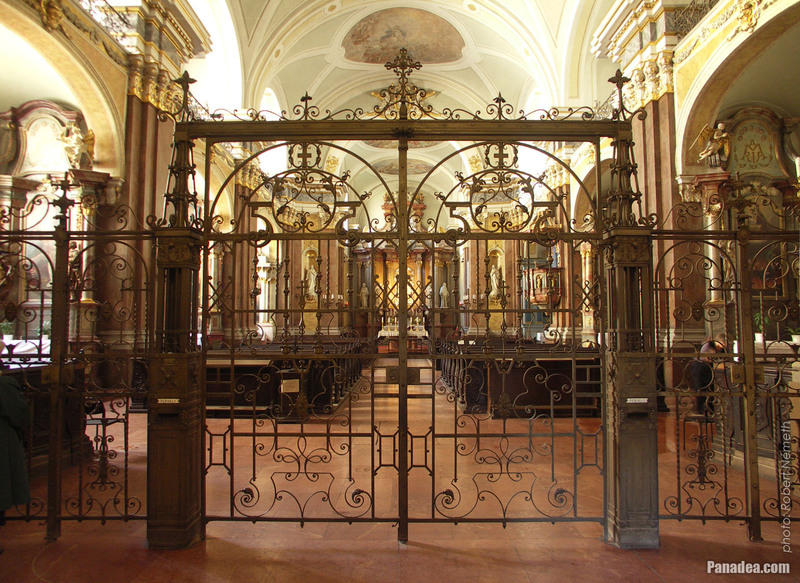 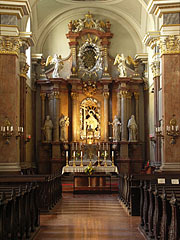 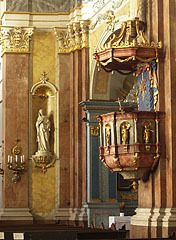 Originally it was created by Ferenc Uhrl and József Fessl in 1835, and after it was destroyed in the WWII Dezső Győri resculpted it in 1977.